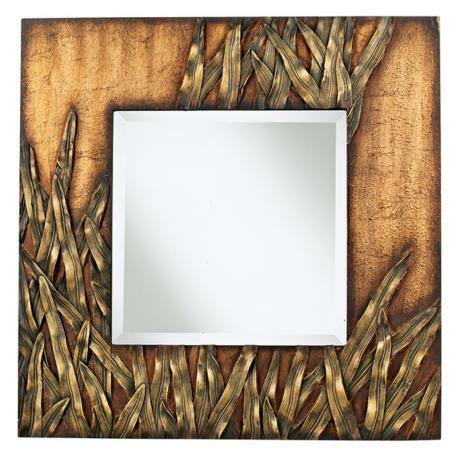 Brighten a room setting with this elegant wall mirror. 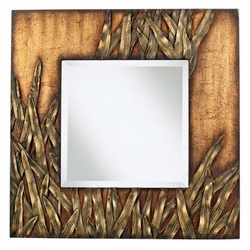 This designer wall mirror will add visual appeal to your decor. 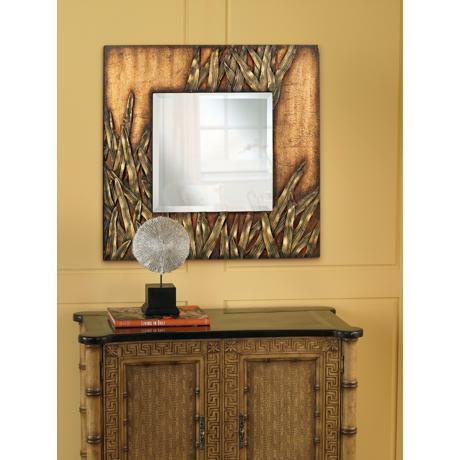 Perfect for living areas or a bedroom, this mirror will look great and add space and dimension to your home. • Weathered bronze and copper finish. • Mirror glass is 18" by 18".